Darren O’Shaughnessy is the biggest superstar you’ve probably never heard of. 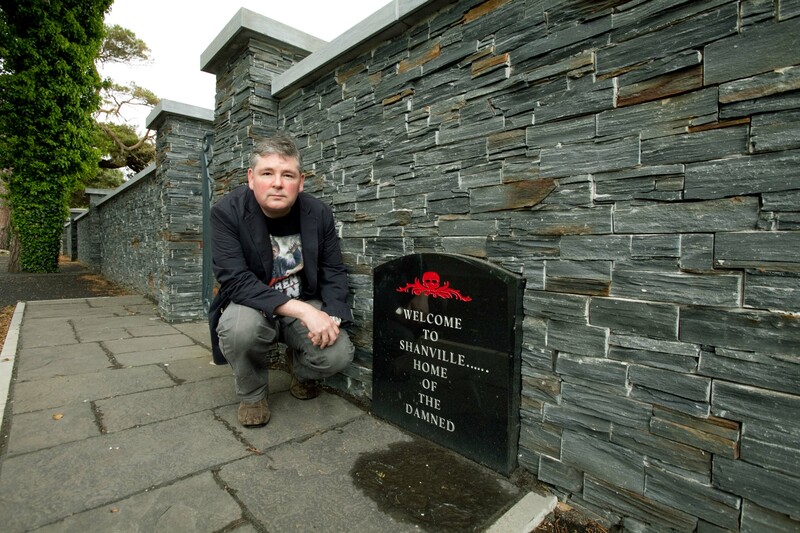 You might know him – then again, you might not – under his nom de plume, Darren Shan. This authorial alter-ego has sold an amazing 25million copies over the last dozen years (he jokes of a favourite band, “I’ve outsold The Killers – they’ve only sold 15million albums!”). His books have been published in around 40 countries and more than 30 languages, and that’s just the official side: bestselling bootleg versions are also available in such exotic locales as Iran. His work has been adapted by Hollywood. He has legions of devoted fans across the globe, and spends a third of the year travelling to meet them, at public readings, school events and conferences. He’s chin-wagged with JK Rowling in a swanky bar in New York, for God’s sake. In short, this guy is massive. In terms of popularity and success, he’s Cecelia Ahern, John Boyne and Marian Keyes all rolled into one. And yet, Darren can walk into a restaurant in Limerick unnoticed. Although he does many interviews and enjoys doing them, his face and name are not famous in the “celebrity” sense. It is, he admits, a perfect situation. We’re in The French Table, opened six years ago along the “broad, majestic Shannon” by Frenchman Thomas Fialon and his Limerick wife Deirdre. It’s a lovely place, charming and understated – and being French, they have a great wine list. And Darren Shan is a great dining companion: easy-going, open, cheerful and verbose (he talks a mile a minute; transcribing the Dictaphone is a nightmare!). As we tuck into starters, he explains why a resident of Pallaskenry has a London accent: “I was born in the UK and moved back here aged six. My parents were both from Pallaskenry. I was happy to come back, I was a very energetic child and our flat was getting too small for me. Darren began writing seriously at 17, and by his early twenties was pitching to agents and publishers. His first novel for adults was released in 1999, aged just 26, and a second followed. But proper, world-straddling success didn’t come until he shifted gears to Young Adult books. The Saga of Darren Shan, a 12-book series on vampires, went ballistic. He followed up with the 10-book Demonata series, and a number of standalone horror and fantasy novels. Darren’s latest big project is especially ambitious: an epic in 12 parts (the seventh is released on March 27th) exploring themes like racism and fascism through the story of one girl and a zombie epidemic. Unusually heavy subjects, but they’re handled sensitively, and the books work as entertainment too. “I like to mix genres up,” he says. “Fantasy and horror are the prime narrative drivers – that’s mostly what I’d have read as teenager – but from there it can go anywhere. I work in elements of sci-fi, thrillers, all sorts of stuff… For instance, one of the big influences on the Demonata series was Steven Hawking’s A Brief History of Time. “And the Zom-B series is very political, reacting to the growth of the BNP and EDL in England, especially since 9/11 and 7/7. I’ve got a flat in London near where the bombs went off, I go over a lot, and I could see a change in the atmosphere. Everyone was on edge. It’s important to do something to address that – not every Muslim is a terrorist, not everyone claiming to want a safer England is to be trusted. Use your brain, see both sides – that’s the message. Because we know where all this leads: Nazi Germany. Is it tough, juggling adult and kids’ books, horror and fantasy genres, in a publishing industry notorious for its insistence of pigeonholing authors? Yes and no, he says. “The industry definitely wants something they can market and sell easily; it was like that starting out 20 years ago and it’s even more so now. I can understand their way of thinking, and it’s fine if you’re happy doing just one type of book, but I read all kinds and take inspiration from all over the place. You want to spread yourself widely, and as a creator you shouldn’t be thinking in terms of markets and all that. In his spare time – what little of it there is – Darren travels with his wife Bas (they married this summer), goes to galleries and the theatre, “pigs out” on weekend trips to London, and enjoys – or endures? – watching Spurs play football. And of course, there are always more books to work on, and who knows, maybe more movies, too. The first three books in the Darren Shan series were collected into the $100million Hollywood production Cirque du Freak. He says, “I stayed out of the movie completely, didn’t even visit the set. I learned from the mistakes of other writers who got involved. Usually the producers make up their own story out of your material. I respect that, it’s a different medium. Rather than trying to control something you can’t, I’d rather spend my time and energy on my own books. And with that, Darren Shan steps out into the Limerick streets: a superstar around the planet, pretty much unrecognised in his home-place. Just the way he likes it.